I realized the other day while trying to warm my freezing fingers that I do not have one pair of completed hand knit mittens, gloves or fingerless mitts! I cast on this weekend to remedy that. 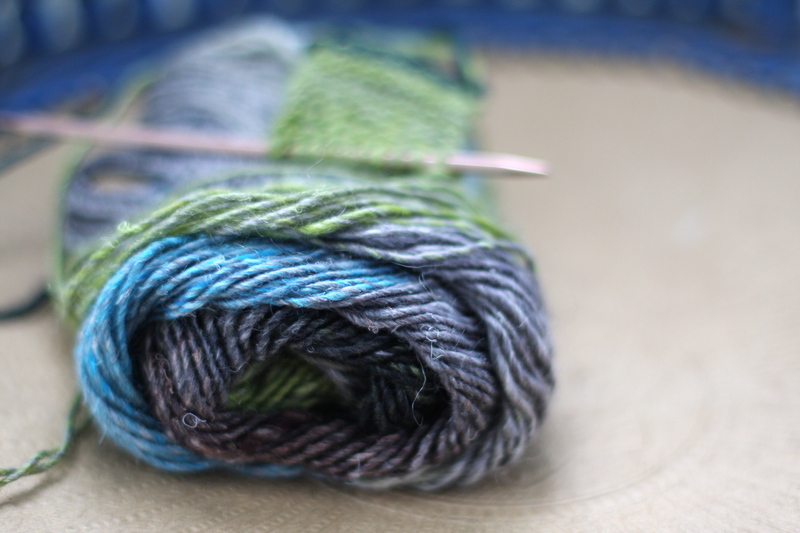 I have never knit with Noro, and thought I would give it a try. 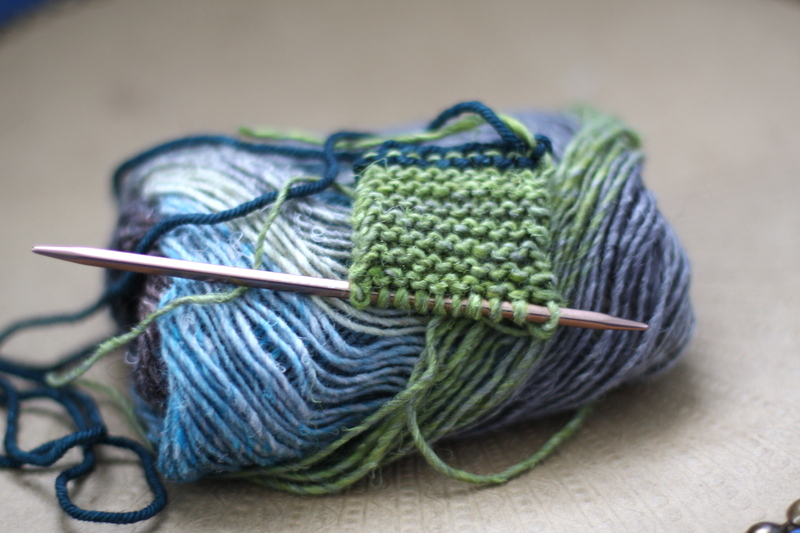 I love the color combo of this Silk Garden aqua/grey/green colorway. The Campout Fingerless Mitts pattern by tante ehm are just what I had in mind. These fingerless mitts are worked in two directions. 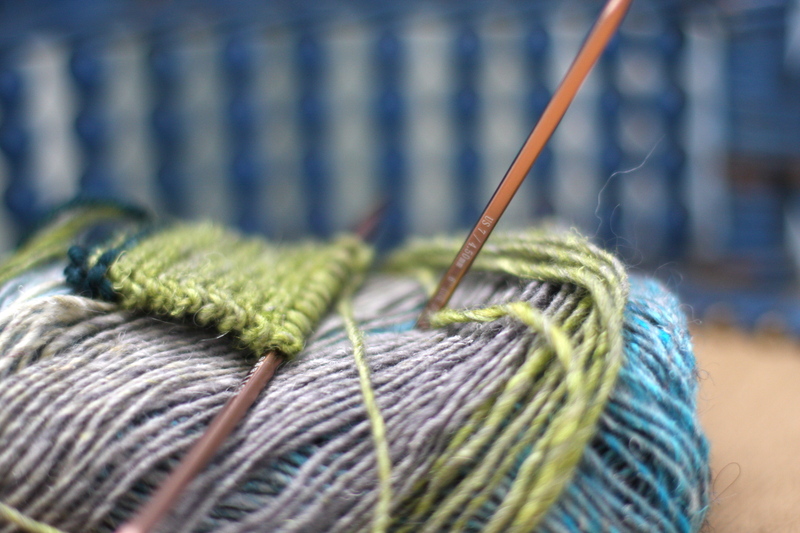 The hand portion is worked flat in garter stitch. Then the stitches are picked up and worked in rounds for the thumb and wrist. I am looking forward to this fast fun knit! Have you ever worked with Noro Silk Garden? Although I haven’t used Noro before I plan to use the pattern for the Camp out mitts to match the capelet I just finished. Thanks! These look like they would go together fast. Maybe I could actually finish a pair instead of the 1/2 pair that I have right now!! I just made the infamous Noro striped scarf! I loved making it and I love my new scarf even more! I know nothing about Noro … but just wanted to say I’m glad Betsy posted your blog on her blog. I loved seeing your beautiful creations! I only knit dishcloths (tons of them!) but seeing what you’ve done is certainly an inspiration to go onto bigger and better things! Lovely!